The Festival “Latvian New Music Days” organised by the Latvian Composers Union is an important contribution to Latvian culture. This year the Festival was held for the ninth time. 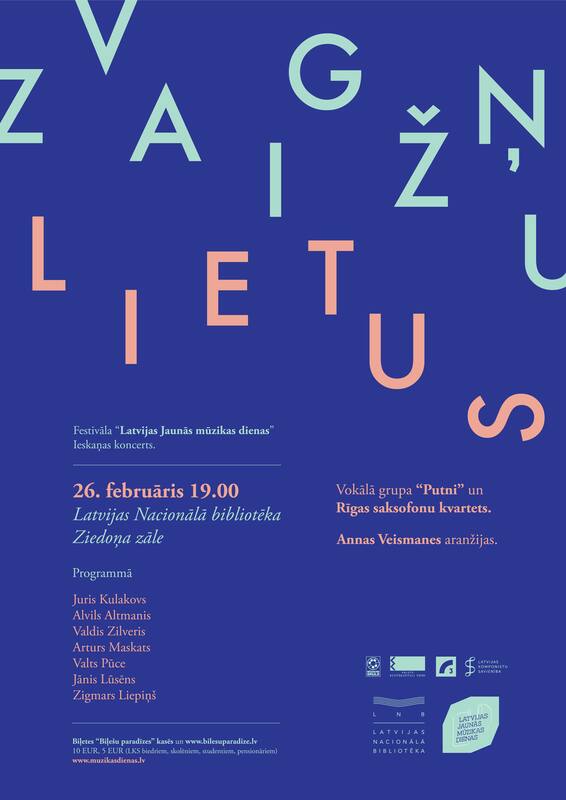 From 26 February to 10 April a seven concerts programme was performed offering ambitious range of Latvian instrumental chamber music. 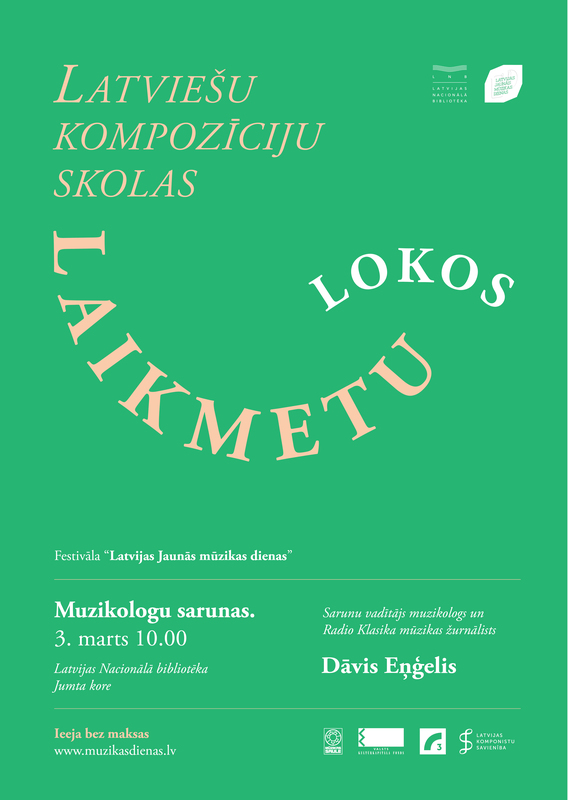 Two educational events took place alongside the concerts: musicologists’ discussions on the topic “Latvian school of composition through the ages” and the composition competition “Skaņuraksti” in Ādaži. The main motive for this year’s Festival was reflection of striking diversity of Latvian composers’ style. The reviews by the critics and audience after closing of the Festival confirmed achievement of the goal. “Latvian New Music Days” sounded in the tone of the chamber music festival. 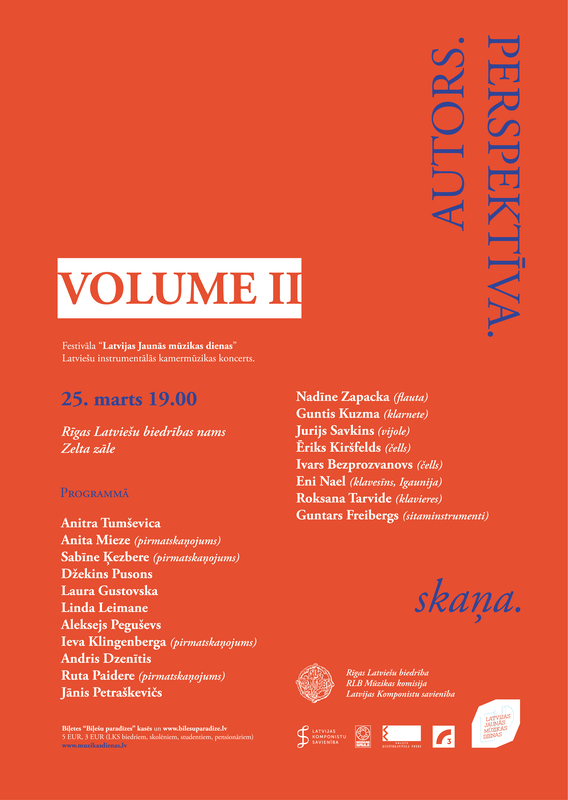 In total, more than 10 compositions were premiered and almost 50 Latvian composers’ names were represented. Popular music rhythms were included in the program of the opening concert of the Festival. Composer Anna Veismane has made arrangements of the songs by Zigmārs Liepiņš, Jānis Lūsēns, Juris Kulakovs, Valts Pūce and other representatives of Latvian light music. The composer has successfully merged two professional ensembles – the Riga Saxophone Quartet and the vocal group “Putni” – by creating a timbrally bright and original music. 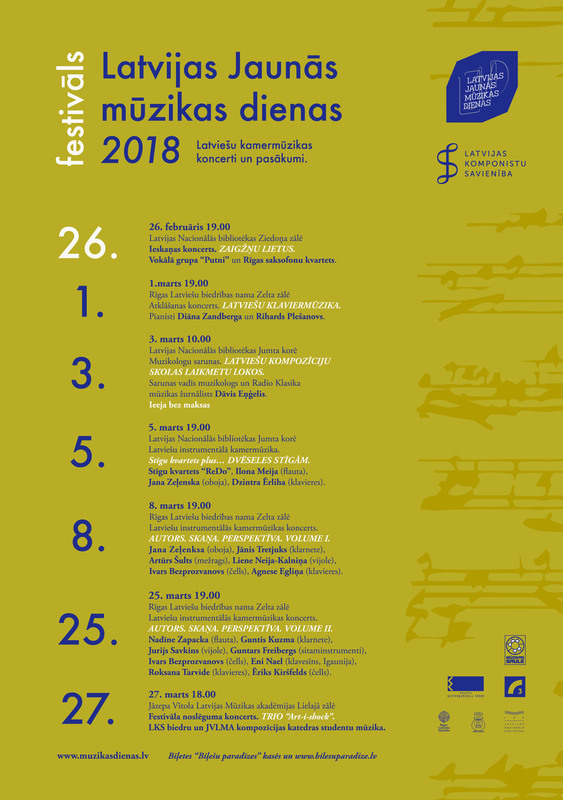 The opening concert “Latvian Piano Music” had several new compositions included, among them “Upe” (The River) by Solveiga Selga, “Vēstules” (The Letters) by Anna Veismane, “Skumju mūzika” (Music of Sadness) by Māris Lasmanis and “Vēja zvani” (Wind Chimes) by Pauls Dambis. Interpretation by pianists Rihards Plešanovs and Diāna Zandberga revealed not only creations of Latvian piano music, but also relationship between the authors – students being influenced by the teachers – and the ways how to bring out your personal individuality. A new composition by Ilona Breģe “Kalendāra lapas” (The Pages of Calendar) (ordered by the P. Vasks Foundation) was performed at the concert “For Strings of the Soul”. Performance of the Quartet “ReDo” reflected transformation of the string quartet genre in the creations of Latvian composers. According to Evija Skuķe, Anastasija Kadiša and Oskars Herliņš, the string quartet is a platform for the explosion of creative techniques. Whereas in the composition “Dabiski” (Naturally) by Asija Ahmetžanova the string quartet is reaching out towards the direction of the musical theatre. Alongside with the compositions of the genre mentioned above there were also chamber music compositions by Mārīte Dombrovska, Dace Aperāne and Imants Zemzars performed in the interpretation of Ilona Meija (flute), Jana Zeļenska (oboe) and Dzintra Erliha (piano). The Festival programme continued with two concerts titled “Author. Sound. Perspective”. The instrumental chamber music authors were portrayed by the bright cast of chamber musicians interpreting musical scores created by the composers. This time a range of new compositions was replenished by miniature “Aiz loga” (Through the Window) by Anita Mieze, “Kalnu meditācija” (Mountain Meditation) by Sabīne Ķezbere, “Teci, teci valodiņa” by Ieva Klingenberga and “Ornamente” by Ruta Paidere (premiere performance of the arrangement). 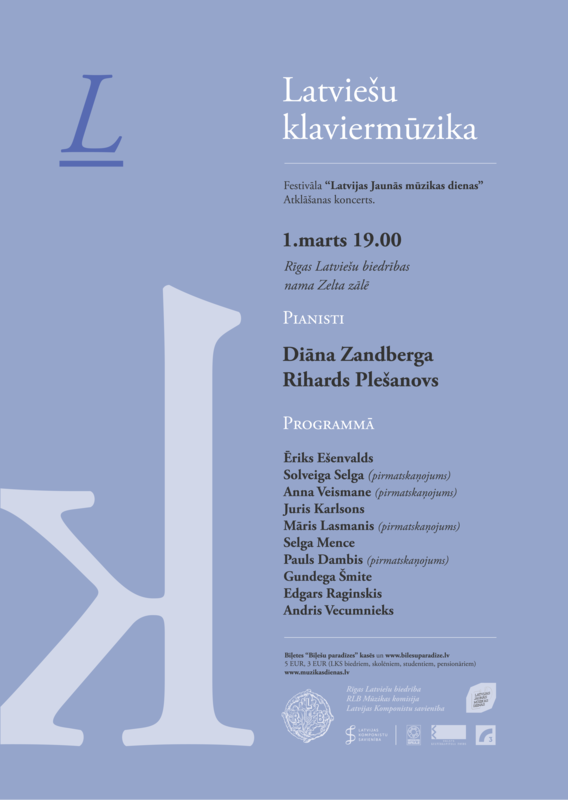 The program was also enriched by the compositions of Jēkabs Jančevskis, Vineta Līce, Vilnis Šmīdbergs, Marina Gribinčika, Indra Riše, Romualds Kalsons, Juris Ābols, Linda Leimane, Andris Dzenītis, Jānis Petraškevičs and other authors. 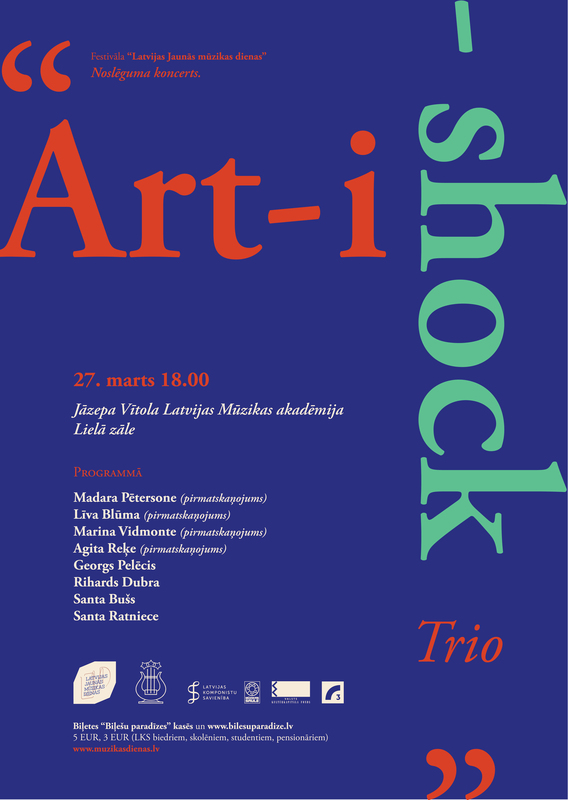 The Festival concluded with the trio’s “Art-i-Shock” concert where the music saturated with creative energy, humour and passion was performed. Alongside the compositions “Pieneņu lauks” (The Field of Dandelions) by Georgs Pelēcis, “Rudens kaislības” (Autumn Passions) by Rihards Dubra and “Lakstīgala” (The Nightingale) by Santa Ratniece, several new compositions were performed. 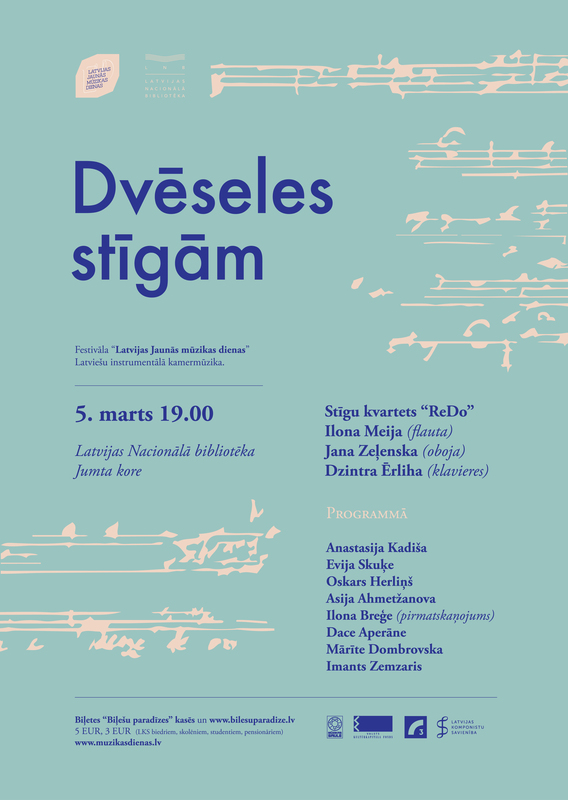 They were ensured by the composer Līva Blūma, author of the composition “Rope-a-dope”, Agita Reķe, who added her miniature “Tauriņi”(Butterflies) to the programme, Madara Pētersone who was represented in the concert by the new composition “The Min” and Marina Vidmonte composing the piece “Debesgaišas acis… deg!”. The final part of the Festival – the organ music concert “New sounds” was devoted to the prominence of the organ music – Tālivaldis Deksnis. 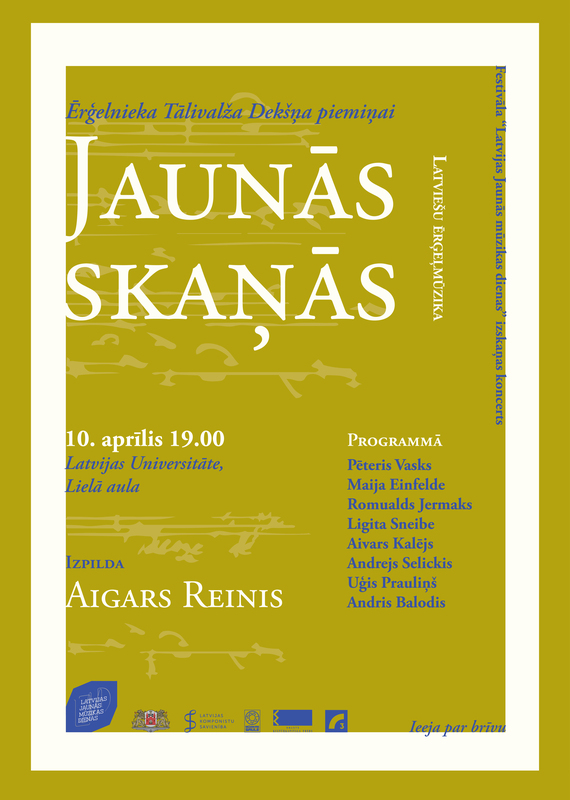 He worked together with Aigars Reinis developing a programme for the concert, however, Aigars Reinis had an honour to conclude the joint work. The music composed for the organ in the last 30 years was included in the programme, also the concert by Pēteris Vasks “Cantus ad pacem”, which was regularly performed by Tālivaldis Deksnis in his concerts. Alongside with this large-scale composition also miniatures for the organ by Romualds Jermaks, Ligita Sneibe, Maija Einfelde, Andrejs Selickis, Andris Balodis, Aivars Kalējs and Uģis Prauliņš were performed. 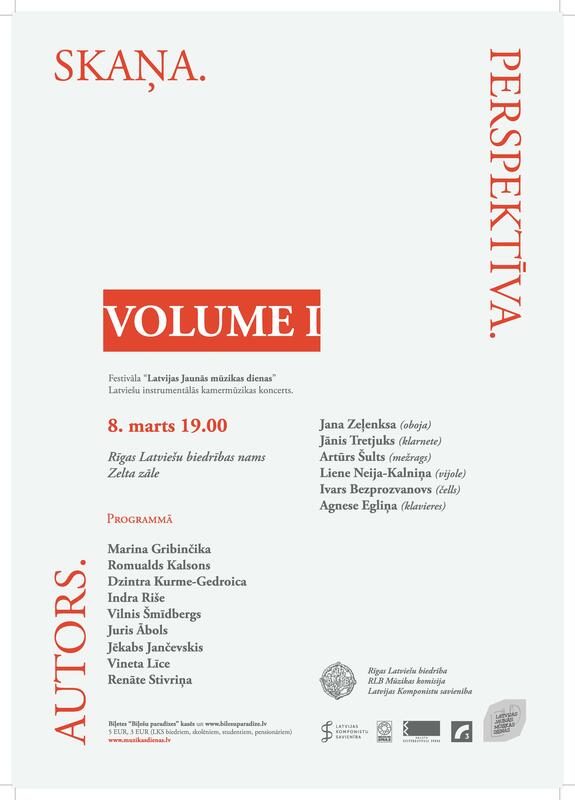 The Latvian Composers Union thanks the supporters – the magazine “Mūzikas Saule”, the State Culture Capital Foundation, the Riga City Council, the Riga Latvian Society Music commission, the National Library of Latvia, the Jāzeps Vītols Latvian Academy of Music.